have been inculcating practical skills and creating ‘Global Professionals’ for more than 50 years. Galgotias Educational Institutions include Galgotias Business School, GalgotiasCollege of Engineering & Technology and Galgotias Institute of Management and Technology. Galgotias College of Engineering & Technology is placed among the best in professional education in Uttar Pradesh Technical University with A+ rating from the Hon’ble Vice Chancellor. It has achieved top positions in MBA, MCA and B.Tech. finals and has a record of 100 Percent Placements with the best Corporate houses. It has also been ranked amongst the top engineering colleges in India by DATAQUEST NASSCOM survey and OUTLOOK-C Fore College Survey. GALGOTIAS University is a thinking ecosystem. A thinking Universe that develops THINKING QUOTIENT. All faculty members are at least Ph.D’s and are the best in their respective fields.Drawn from the finest academic institutions, they embody world-best educational practices and offer a never-before learning experience. We seek to match the finest academia and facilities with none but the most meritorious and diligent students. We invite students and faculty who comprehend the potential of this opportunity, to seize it and take this THINKING UNIVERSE to the next level. 3.] Awarded the prestigious academic excellence award by Shri Sriprakash Jaiswal, Ministry of Sate of Home Affairs for Best Academic Infrastructure & Faculty. 4.] India Achievers Podium: for the certificate of excellence for the Best Management Institute NCR. Indian Army, Capital IQ, Daffodil India Ltd., Thomson Digital, Image Infosoft Pvt. Ltd., Hubert Ebner India Pvt. Ltd., IGT, Wizard InfoSolutions Pvt. Ltd., BrickRed Technologies Pvt. Ltd., Lada Group, UK, Greenfield Online India Pvt. Ltd., Tavant Technologies, Abacus Management Pvt. Ltd., Fire e-Ventures Ltd., GrapeCity India Pvt. Ltd., hCentive, Interach Building Products Ltd., CH2M Hill, Siemens, Nagarro, Bhasin Group, Karrox Technologies Pvt. Ltd., Sylos Engineering, Calcom Vision Ltd., Urbtech India Developers Pvt. Ltd., Teesta Infotech Ltd., ICICI Direct, AIMIL, Holistics India Ltd., Consumate Technology, CMC Ltd., Honda Siel Cars India Pvt. Over the years, Galgotias Educational Institutions (GEI) have earned the repute of being a leading name in education and the institutions have now found a brand new identity with its vibrant new Logo. The new Logo of GEI signifies the institutions’ objective of combining rigorous academic study and the excitement to bring about a unique learning experience for the students. The colors of the new logo have been selected to convey the essence of the core values and effervescence of the institutions. Red is the color of enthusiasm and energy signifying GEI’s quest for excellence and zeal to inspire the next generation of leaders. Red also symbolizes encouragement and confidence to achieve one’s goals. The color Yellow stimulates mental process to innovate and encourages openness in communication. At GEI, we focus on stimulating the creativity of students and provide a learning environment based on open communication between faculty and students. Blue is the color of trust, dependability and commitment, the three qualities that act as the source of the credibility earned by Galgotias Educational Institutions which will continue to be the hallmark of Galgotias University. and has a record of 100 Percent Placements with the best Corporate houses. It has also been ranked amongst the top engineering colleges in India by DATAQUEST NASSCOM survey and OUTLOOK-C Fore College Survey. Galgotias University was launched in 2011 by a State Act (Act No. 14 of 2011). The Galgotias University (GU) has carved a niche for itself by producing professionals of national and international acclaim. Owing to its highly qualified faculty, state-of-the act infrastructure, quality teaching and learning procedures, GU is emerging as the preferred institutions for students opting for higher studies. It is the stringent check on quality that has made GU, the favourite destination for recruitment by renowned corporations. The core courses in the management programmes of the School of Business are designed to introduce students to the various areas of business such as accounting, finance, marketing, human resources and operations management etc. At the School of Business the courses are designed to encourage out of the box thinking and dealing with practical realities. As the business world changes at a rapid pace the programme remains relevant by leveraging its strong ties with the corporate world and with academic research. As a part of GU’s efforts to provide holistic and integrated education, the curriculum also focuses on contemporary issues of ethical governance, environment and energy concerns. 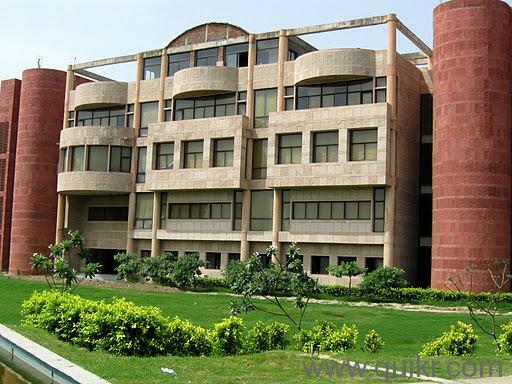 Galgotia College of Engineering and Technology is one of the most demanded college in Delhi/NCR. 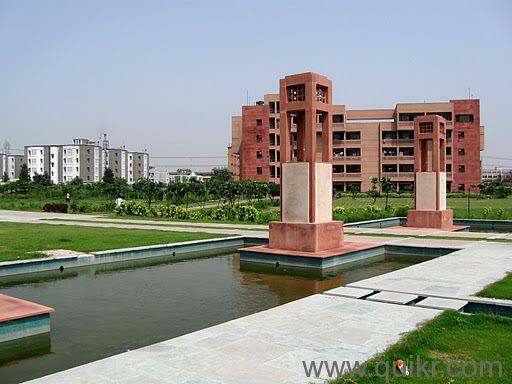 It is located at Knowledge Park in Greater Noida. Students must have passed 10+2 examination with Physics and Mathematics as compulsory subjects along with one of the following subjects: Chemistry / Biotechnology / Computer Science / Biology. Admission to the B.Tech programme would be done on the basis of rank obtained in SEE – UPTU conducted by Uttar Pradesh Technical University, Lucknow. Admission to 85% of the total seats would be made through state level centralized counselling conducted by the University. 15% management seats are filled directly by the institute by conducting institute level counselling based on the merit of SEE- UPTU/AIEEE rank & merit in qualifying examination. * Candidates who have passed ‘three years Engg. Diploma from an Institution located in U.P. with minimum 60% marks’ OR ‘whose parents (Father or mother) are domicile of Uttar Pradesh and have passed three years Engg. Diploma (with minimum 60% marks) recognized by the Board of Technical Education, U. P.’, in any branch of Engineering (except Agriculture Engg., Pharmacy and Architecture), are eligible for admission to Second year in any branch of Engineering / Technology. * Candidates who have passed ‘three years B.Sc. degree with mathematics as one of the subject from any recognized University; securing minimum 60% marks in aggregate, are also eligible for admission to second year in any branch of Engineering / Technology. 4 years XII or equivalent with minimum 50% marks in PCM. Merit in Qualifying exam, IITJEE, AIEEE, UPSEE etc, preferable. 1) 60% or above at X level. 2) 75% PCM or above at XII level. XII with Maths with minimum 50% marks in best four relevant subjects. B.E/B.Tech or equivalent in Mech. Engg. or in relevant discipline with minimum 50% marks. B.E/B.Tech or equivalent in Civil Engg. or in relevant discipline with minimum 50% marks. B.E/B.Tech or equivalent in Electrical Engg. or in relevant discipline with minimum 50% marks. B.E/B.Tech or equivalent in ECE/M.Sc (Electronics)/Physics or in relevant discipline with minimum 50% marks. XII with minimum 50% marks in best 4 relevant subjects. Graduation with minimum 50% marks. Merit in CAT/ XAT / MAT/UPSEE etc. preferable. XII with minimum 50% marks in best four relevant subjects. Bachelor of Journalism & Mass Comm. Master of Journalism & Mass Comm. XIIth with Science (Physics, Chemistry and Biology) with minimum 50% marks in PCB. XIIth with Science (Physics, Chemistry and Biology) or XIIthwith vocational subjects of Medical Lab Technology of CBSE or equivalent, with minimum 50% marks in best four relevant subjects. XII with PCB with minimum 45% marks in PCB. XII with Science with minimum 50% marks.